Contrary to popular belief, Oktoberfest actually takes place during the last two weeks of September. We were able to avoid many of the reveling crowds, but it did make navigating Munich rather boisterous. Even in drought-stricken California, it’s expected to be offered free water with your meal. Not so in Germany, where water is a specific, additional charge. And in general, forget about asking for ice. Right on the heels of the above, if you don’t specify “still” or “natural” water, your drink will come as carbonated mineral water, a slightly bitter surprise if you’re not expecting it. While handling paper currency is rare for me here in California, save for several specific local shops, in Germany pulling out a credit card leaves a sour note with the vendor. The ATMs’ “quick cash” wasn’t $40 like here in the states, it was €200, so ubiquitous is paying in paper. Paying with paper or coins is expected, but it is considered disrespectful for you to hand payment directly to the cashier. Every shop has a little dish or plate on the counter where you place your payment. There didn’t seem to be any reservation about handing change back to me, however. During our trip we traveled multiple times from Garmish-Partenkirchen to Munich, paying the hefty €86 round-trip ticket fare each time. Only on our last day did a conductor actually mention that we should have purchased the “all day region pass” for €26 instead, and would have let us go to Munich or anywhere else in Bavaria for a single price. During meals out, it is rare for a server to check in and ask how the food is, if you need drink refills, or if you’d like to order dessert. Americans may find this attitude rude, but in truth the waiters don’t want to bother and interrupt the patrons mid-meal; they expect to get flagged-down if something is needed. Note that this also applies to getting the check. Both traveling into Munich from Frankfurt and back again we had to use the international ICE train. Let me tell you, it is absolutely worth the extra Euros to reserve your seats, because otherwise it’s a mad-dash to find any sort of room as everyone crowds onto the train at each stop. Trust me. My wife and I spent our entire trip in Bavaria, the Southeastern region of Germany. Though tickets to fly into Munich were ~$300 more, it would have saved us a lot of money and time when it came to traveling to and from the airport. Going to Garmish-Partenkirchen from Frankfurt cost €286 each way and took up to 7 hours – two trips totaled almost a full day we could have spent exploring the cities, let alone the financial toll. It is always advisable to have a few Euro coins handy when out and about because most wash rooms, even those inside restaurants, cost money to use. They are exceptionally clean, but make sure you have the pocket change before you need to go. I’ll be posting more and more observations from my trip as time goes on, and as I’m able to sort out the many notes and pictures I took during the trip. 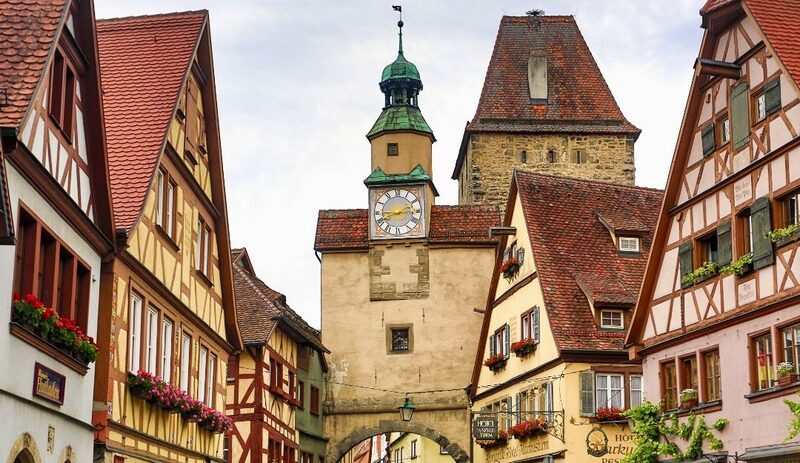 With any luck some of these tips will help other travelers and potential globe-trotters as they plan to visit Germany and other parts of Europe!